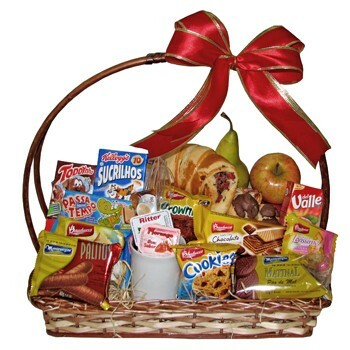 We have filled this Breakfast Gift Basket with traditional Brazilian breakfast treats. This generous gift basket is filled with impossible to resist treats that makes any morning unforgettable. - A cup, a spoon, a fork, a knife and napkins.